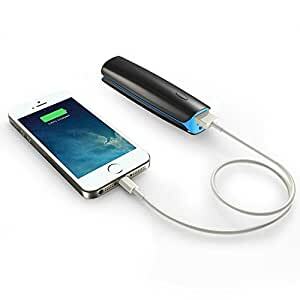 Do native users refer to a portable mobile phone charger as a power bank? Lol, portable mobile phone charger would be a mouthful for native speakers too. We use it too, here in Slovakia. From Australia to China to UK to Europe, I've NEVER heard it called anything other than, simply, a "charger". A charger you plug in to the mains. A power pack (not bank - I only have one, not a whole lot joined together!) - is the battery you can use to recharge your phone battery when you can't access a plug. We call "charger" a charger you have to plug in the socket to charge the phone. The one you can use while you are, well, mobile, is called power bank (just like that, the english expression). I can imagine our family going on a trip to mountains and asking my daughter to take her charger with her and in the middle of nowhere she gives me a charger you need to plug in to charge my dead phone for a gps to work. When these devices were smaller, some people called them power sticks, presumably from German. Also, it's an interesting comment thar, that bank is used for something amassed or piled up, like a bank in a poker game. This is completely lost to us. Ah! A mobile/portable charger! Gotcha! OK, so perhaps it's only amongst family and friends that we refer to it as a portable charger when we should be saying "pack" or something lengthier and more accurate? Yes, the phone is mobile and the charging device is portable! In Iceland we don't use all this modern stuff - just rub a piece of amber with some fur. Seriously, because Icelandic is so keen on using indigenous words instead of importing them, the word for battery is rafhlaða - amber barn. Hlaða = load, storage, barn - simple enough. Raf = amber. When people started investigating the strange properties of amber, I think most other Western European languages took the Greek term electrum for electricity but Icelandic took the local term raf-. When most people see the root electro- they don't relate it to amber. Except the Greeks I guess. I am pretty confident the Finns probably did their own thing as well. No idea about the Chinese approach. I am pretty confident the Finns probably did their own thing as well. lol, and Hungarians too. As for Chinese, for electricity they use a character (kanji) 電, which is a nice combination of rain (upper part) and lightning (lower part). The word itself was created probably according to rules related to the characteristics of the kanji (radical). Frankly I would probably actually describe it, rather than assume anyone else would understand 'power pack' even, and certainly not 'power bank'! The emergency charger thingy for when your phone dies on you. Sums it up. What is the betting I could put that as a search into a supplier and get straight to the right product? Here I have to disagree with Romany and Thar, I have seen such devices described as Power Banks quite often in stores such as Argos, Tesco and online in Amazon. Another example the Carphone Warhouse store. I looked up power pack, and different things came up on this website (heureka.sk compares prices and shows the cheapest offers). From packs for gamers (headset, mouse, mousepad) to power source for starting cars. Power being for something powerful probably. It is definitely not known as a power pack around here. As I said, untranslated power bank is good enough for us. ...OK, so perhaps it's only amongst family and friends that we refer to it as a portable charger when we should be saying "pack" or something lengthier and more accurate? Well that would depend on how 'tech savvy' your family and friends are. Remember that a power bank also needs to be recharged when it is 'empty'. Hmmm - maybe it is a 'place and time' thing. They might be advertised and listed as such - but I don't hear people calling them that. I mean, Argos lists vacuum cleaners even though people want to buy hoovers. I can only go by the kids I work with in East London and they don't regularly call it a power bank in conversation, in my experience. Portable charger, or backup charger. Or battery recharger. Perhaos it's because I hang around with a bunch of computer programmers who like to use techie terms I hear power bank. Hey guys. Just google images with "power pack" and "power bank". I've mostly seen power bank used for mobile phone portable chargers. Power pack brings in mind some bigger moveable power supplies, for a lot bigger machines than a mobile phone. Mines called a Backup Battery, but the ad says "if you need a power-bank, this backup battery-pack is for you". I think I'd be like thar and say "Emergency top-up thing".